With the acquisition, Slyce immediately gains over four million SnipSnap mobile shoppers and seeks to position itself as the complete consumer engagement platform for major retailers and brands both in and out of store. Visual product search platform Slyce Inc. (TSX VENTURE:SLC) ("Slyce") today announced the acquisition of leading mobile couponing company, SnipSnap App Limited Liability Company ("SnipSnap") for the consideration of US$6.5 million payable in a combination of cash, Slyce common shares ("Common Shares"), and conditional shares as further detailed below. SnipSnap Founder Ted Mann will continue to lead SnipSnap, which will remain based in Philadelphia. SnipSnap was the first company to develop image-recognition technology for scanning and interpreting coupons with a mobile device. The SnipSnap app, available for iOS and Android, allows a user a way to take a photograph of a retail coupon and instantly transform it into a digital, mobile format, which can be easily searched, retrieved, and shared with other SnipSnap users on their smartphones. With all pertinent information from coupons (barcode, expiration date, cashier code) extracted and digitized, users are then able to simply present their smartphones at retailer cash registers to redeem the coupons. SnipSnap also provides users with timely alerts such as expiration-date notifications as well as location-based reminders to redeem coupons at stores and malls that are close by. Launched in 2012, SnipSnap (which is based in Philadelphia) has grown to over four million users, who have snipped over 100 million coupons. The typical active user saves $40 per month. SnipSnap saw an average of 20% month on month revenue growth for the last six months of 2014 and has increased its total revenue 14-fold since fiscal year end 2013. It is one of the largest and fastest growing mobile couponing apps, following RetailMeNot (NASD $805MM market cap) and Coupons.com (NYSE $1.28B market cap), and has partnership agreements with approximately 50 North American retailers including Bed Bath & Beyond, Lord & Taylor, Jo-Ann and Aeropostale. For many brands, like Toys "R" Us, SnipSnap not only powers coupons on its app but also provides a white-label platform to create and target mobile coupons across all retailer owned-media channels, including email, web, mobile app and SMS. In 2015, SnipSnap will expand its offering to support loyalty coupons and social-media campaigns. 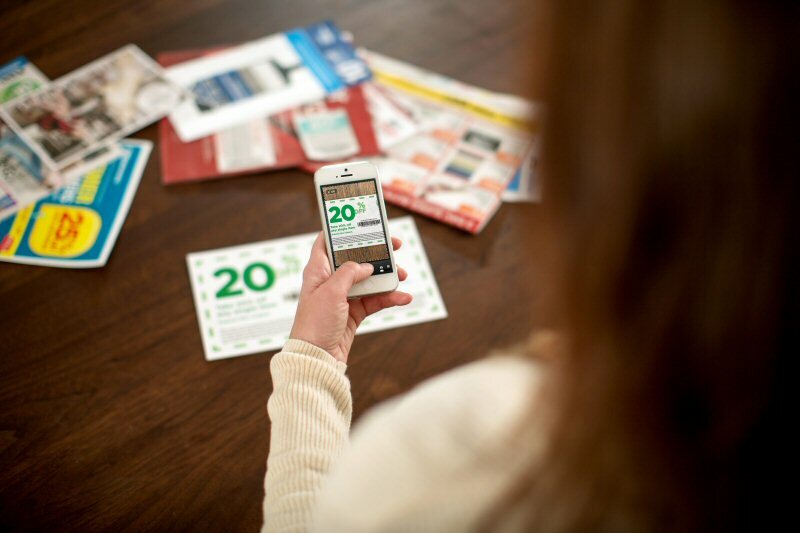 The North American mobile couponing market is expected to grow to 135 million individual users by 2016, with an estimated $25 billion being spent on in-store performance marketing. "We began working with SnipSnap over a year ago at Lord & Taylor and they quickly proved to be one of the most effective forms of mobile marketing we employed," said Ryan Craver, former SVP Strategy for Hudson's Bay Company (which owns Lord & Taylor and Saks Fifth Avenue in the United States). "SnipSnap's location and behavioral-targeting mixed with micro-location beacons served as the perfect offline to online marketing bridge for stores. I look forward to watching the platform further develop using personalization to drive customer acquisition for other brands and retailers." SnipSnap currently has a patent pending for its process of turning a photograph of a coupon into an in-store redeemable mobile coupon. Slyce will begin integrating its visual-search technology into the app, improving the speed and accuracy of coupon detection for all SnipSnap users. The acquisition will also allow Slyce to combine the SnipSnap technology with its previously acquired Pounce technology into an all-in-one mobile shopping solution incorporating 3D visual search, instant couponing and one-click customer checkout. Slyce CEO Mark Elfenbein said of the acquisition, "SnipSnap and its four million users represent an enormous opportunity for Slyce to widen its service offering to leading retailers. The team has solved a huge problem for retailers-effectively building a bridge between analog and digital coupon distribution. Furthermore, this acquisition enables users who are already taking photos of coupons to now take photos of real world items, a natural extension of the SnipSnap app's current use case. With the addition of the SnipSnap platform and team including founder Ted Mann, Slyce instantly becomes the go-to provider of not just visual search applications but the very best out-of-store customer engagement solutions for retailers." "SnipSnap began with a very simple concept: what if saving a coupon to your phone was as simple as snapping a photo of it?" said Ted Mann, Founder and President of SnipSnap. "Mobile phones are becoming remote controls for our lives, and Slyce is at the forefront of how we can apply image-recognition and visual search to not just coupons, but all forms of mobile commerce - and beyond. We now employ Siri and voice recognition to do countless things on our phones. In the next couple years, you'll find yourself using your camera and visual search - and Slyce - the exact same way." The aggregate purchase price paid by Slyce for SnipSnap is comprised as follows: (i) US$1 million in cash payable at closing (the "Closing Date"); (ii) US$3 million in Common Shares issued at Closing Date at an issue price of CDN$0.80 per share (the "Share Price"), such that 4,671,201 Common Shares are issuable; and (iii) up to US$2.5 million in Common Shares ("Earn-Out Shares") issued at future determined share prices, upon the achievement of certain revenue milestones by December 31st, 2015 and December 31st, 2016. Common Shares issued will be subject to all applicable securities and regulatory hold periods. In addition to regulatory hold periods, the 4,671,201 Common Shares issued at the Closing Date will be released to the vendors over a period of 12 months, in one-eighth increments, commencing on the four month anniversary of the Closing Date and ending on the twelve month anniversary of the Closing Date, (the "Share Escrow Period"), until fully released. In addition, pursuant to the terms of the purchase agreement, Slyce has agreed to issue into escrow an additional 1,556,911 Common Shares as a means of limited price protection during the Share Escrow Period (the "Price Protection Shares"). If required, the Price Protection Shares shall be releasable to the vendors on the eleven-month anniversary date of the Closing Date but only if the volume weighted average trading price ("VWAP") of Slyce's Common Shares drops below the Share Price, as calculated during the Share Escrow Period. The Price Protection Shares are intended to provide limited protection to the vendors in the event the Share Price is greater than the total VWAP of Slyce's Common Shares during the Share Escrow Period. Only the required number of Price Protection Shares to make up the difference between the Share Price and the total VWAP of Slyce's Common Shares during the Share Escrow Period shall be issued and all other Price Protection Shares shall be cancelled and returned to Slyce's treasury. In the event that the VWAP of Slyce's Common Shares is above the Share Price, then all Price Protection Shares shall be cancelled and returned to Slyce's treasury. The completion of the acquisition is subject to the approval of the TSX-V and the fulfillment of all requirements thereof. The acquisition is anticipated to qualify as an expedited transaction pursuant to TSX-V policies, and will not therefore require shareholder approval. The Closing Date is expected to be on or about February 5th, 2015. The Corporation is a visual search technology company based in Toronto, Ontario and is engaged in the business of providing advanced visual search software that allows consumers to purchase products at the moment they discover them - in the real world and online. Slyce powers mobile visual search for several leading retailers including Neiman Marcus and Tilly's. 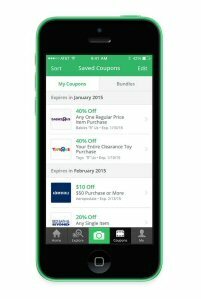 SnipSnap is the first mobile coupon app to allow users to scan and redeem any printed coupon on their smartphone. Since launching at Techcrunch Disrupt in 2012, the app has grown to 4 million users on iOS and Android, who have saved more than 100 million coupons and $200 million. 50+ retailers have partnered with SnipSnap to deliver targeted coupons via the app or utilizing SnipSnap's Coupon Author platform. The company was created at DreamIt Ventures accelerator program, participated in the Philadelphia Inquirer's Project Liberty Incubator, and is based in Philadelphia.